When creating our Aula multipurpose chair, the designers and engineers took plastic as a material to a new aesthetic and functional level. Up to 16 of the easy-care fully plastic chairs can be stacked free-standing. Aula looks intriguingly seamless because the colours and surfaces of all the chair’s parts are the same. Its precise lines and the way the leg frame, armrests and seat shell fuse with the rest of the structure suggest an organic sculpture. The form, elasticity and ergonomic design of the seat shell provide excellent support and comfort, even when people of all shapes and sizes sit on it for long periods of time. 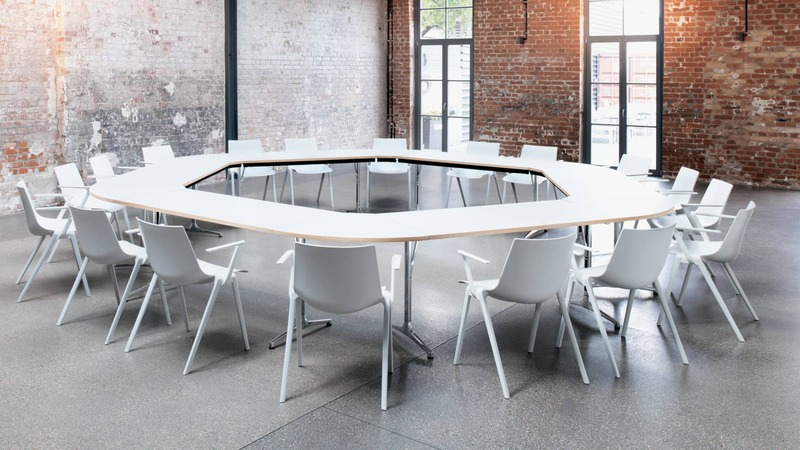 Six colours and four types of upholstery tap into a wide range of furnishing and design options for multipurpose facilities, canteens, seminar rooms, conference areas or co-working spaces.